While I have tried not to mention any major spoilers for Blood Promise it's not possible to review this one without hinting at / mentioning one for Shadow Kiss. Please don't read this review unless you have read that book. The synopsis below also contains spoilers for the previous books in the series. 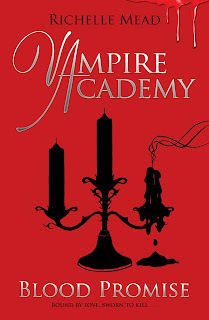 From Goodreads: After the massacre at Vampire Academy, Rose Hathaway faces the most task of her life and she knows that she must do it alone. With Mason departed for the other world, Rose must hunt down and kill Dimitri Belikov, the man she most loves. 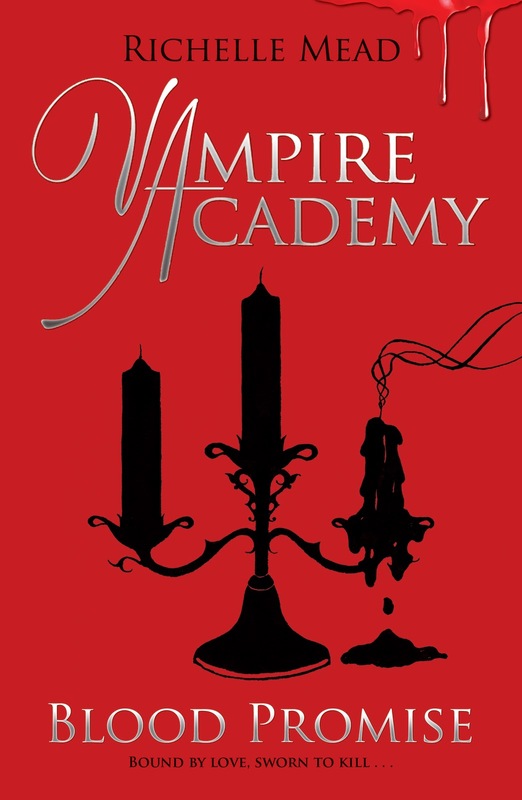 The fourth nail-biting episode of Richelle Mead's popular vampire series dramatically shows the fatal power of a promise. I have to admit I was DESPERATE to read this one considering the end of Shadows Kiss. But I was also scared to - as much as I loved (no, make that hated) what happens to Dimitri - I didn't know if the series would work for me now. So much of my enjoyment of the series depended on Dimitri and his relationship with Rose. But how wrong was I? I LOVED it! This story is very different to the others. It takes place outside of St Vladamir's Academy - in Russia where Rose is trying to find Dimitri so she can fulfil a promise she once made. Along the way we meet a host of wonderful new characters, and of course, we come face to face with a rather different Dimitri. And oh my! He is heartbreakingly different. But then, Rose's reaction to him is also heartbreaking to watch. It was scary to see the affect he has on her. I knew that she would have trouble doing what she set out to do - that as soon as she came face to face with Dimitri she wouldn't see the truth - what's he has truly become. But I didn't expect what was to follow - but then neither did Rose. Watching her get her strength back and at least partly come to terms with what Dimitri now is was the highpoint of the book for me. I also really enjoyed all the new characters. Abe, Sydney and especially the Belikovs - I hope to see much more of them in following books. I also really liked Lissa in this one - in the past she has always been the weakest link for me but in this one she shows that she needs to be there for Rose too and I warmed to her because of it. I also have to say I adored Adrian in this one too - but - I really hope there is no romance between him and Rose. As much as I love Adrian (and ignoring the fact Rose is still in love with Dimitri) he just doesn't strike me as right for Rose - but I guess we shall see. My favourite book in the series so far! I can't wait to see how this all turns out! this was definitely heart aching for me. but i loved it so much. When rose finally finds dimitri i think my heart stopped a couple of times. But I enjoyed seeing Rose's vulnerability when it came to seeing Dimitri in this light because it made her seem more real. I knew she wouldnt be able to kill him right away she loved him too much. it was hard to read some of those biting scenes but it was neccesary. I really loved this book and was pleasantly surprised to find out who Abe really is. He's become one of my favorite characters! Im glad you loved this one so much!